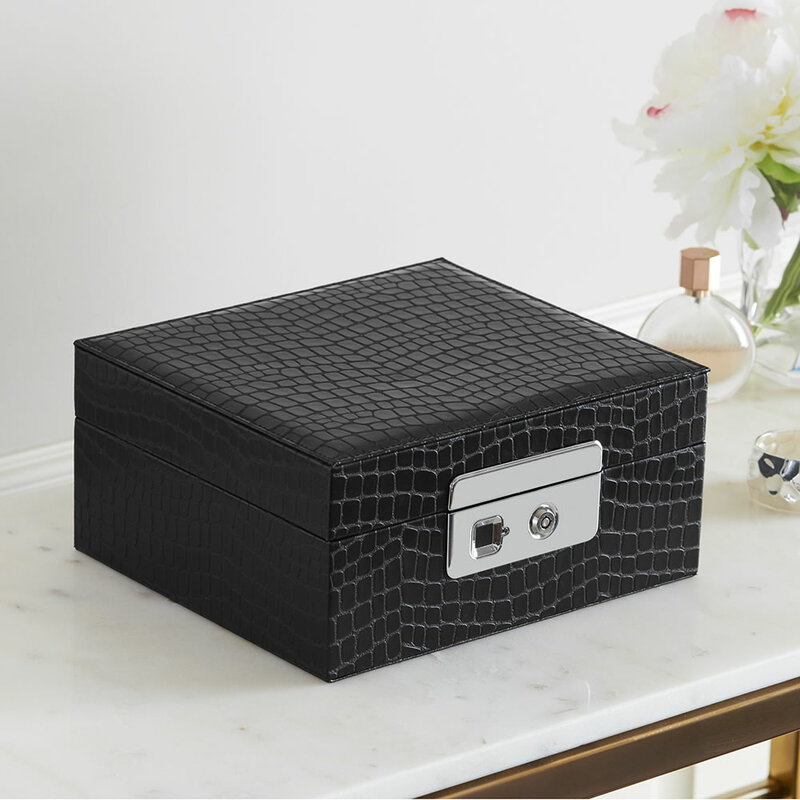 This is the jewelry box that requires only a fingerprint to grant access to precious items. Eliminating the need to remember combinations or hide a key, a matching fingerprint opens the lock within a second. Panelists from The Hammacher Schlemmer Institute praised the accuracy of the sensor and noted there were no false positives during testing. 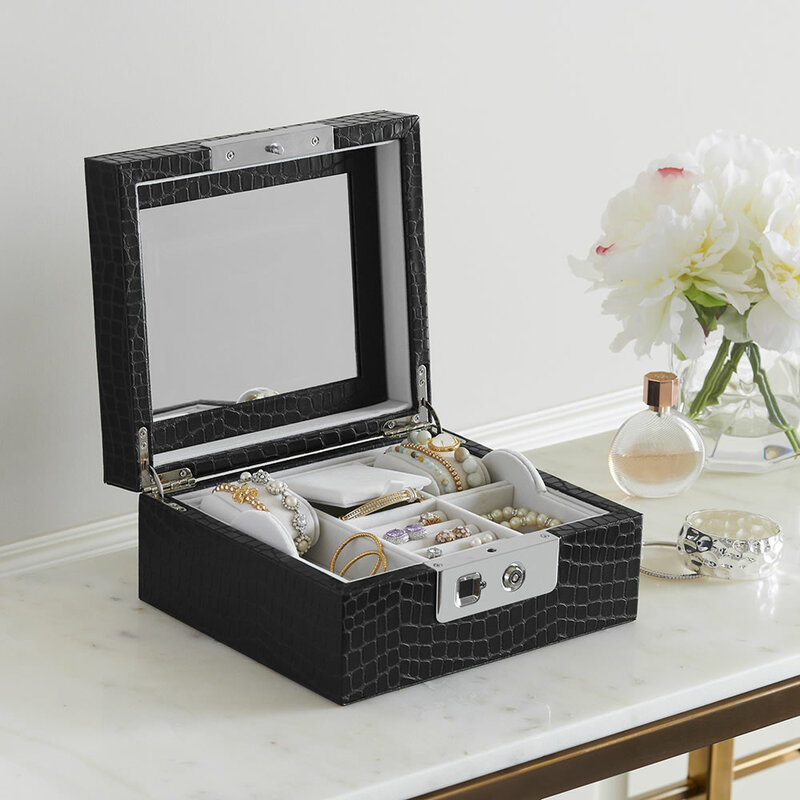 The flannel-lined, mirrored interior protects jewelry from nicks or scratches and features a hidden compartment for additional security. Stores up to 10 different fingerprints and one administrator print; with a six-month battery life. Recharges via USB. Spare key if box is in low power mode. Black. 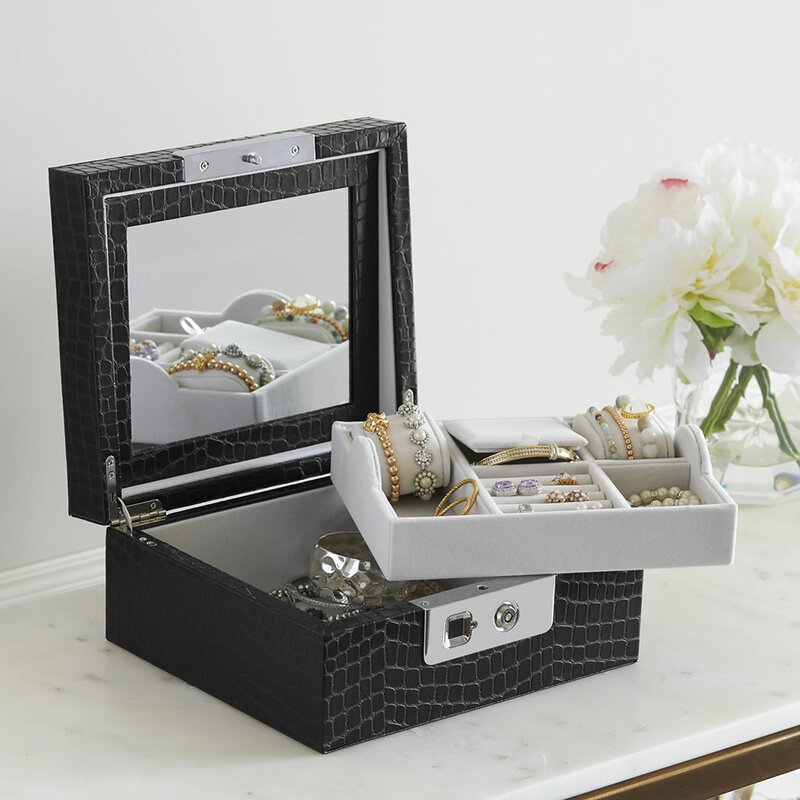 9 1/2" H x 8 1/3" W x 4 1/2" D.
The Biometric Secure Jewelry Box comes with The Hammacher Schlemmer Lifetime Guarantee. Items that we sell are guaranteed for their normal life under standard non-commercial use.